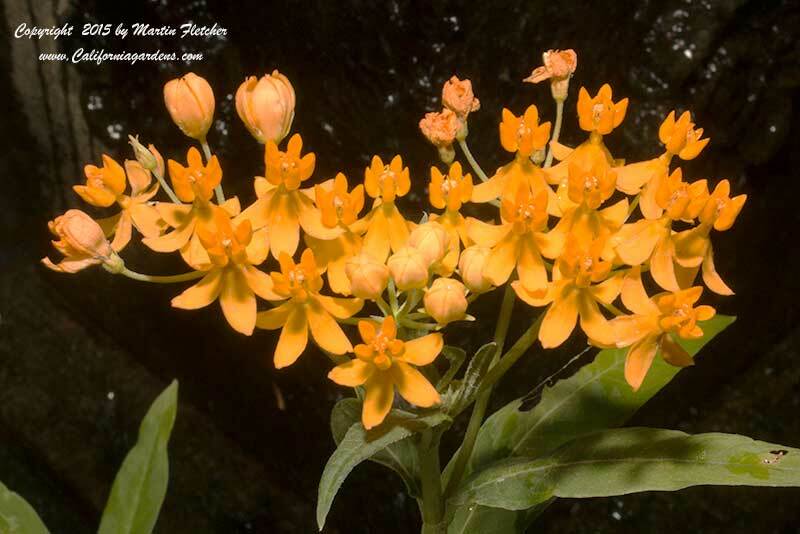 Flowers and foliage of Asclepias curassavica Silky Gold the Silky Gold Butterfly Weed or Tropical Milkweed. High resolution photos are part of our garden image collection. 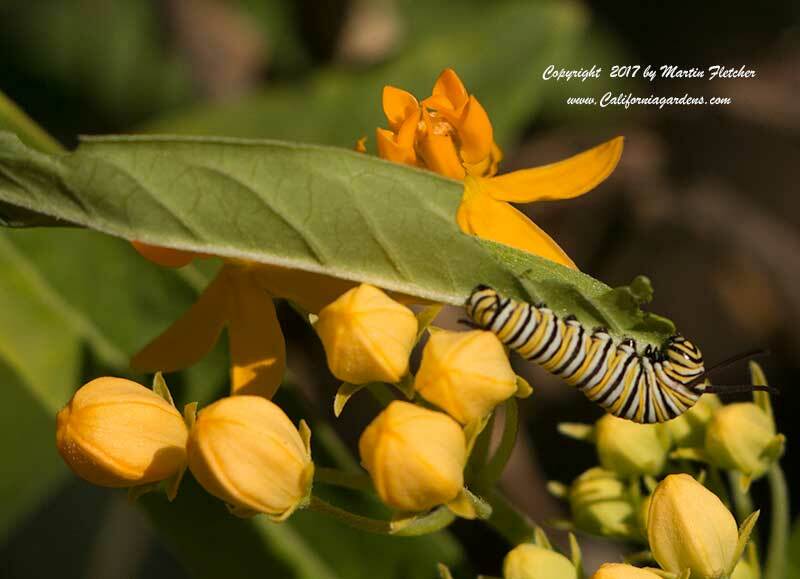 Asclepias curassavica Silky Gold leaf being eaten by a Monarch Caterpillar - Silky Gold Butterfly Weed or Tropical Milkweed.